It’s funny that now that I’m getting more confident in my sewing skills I’m making more for other people. I suppose I needed to be sure that my workmanship was up to it before inflicting my handmade garments onto others. So here’s a sweet little dress I made for my sweet little sister. Since she’s very petite it can be hard for her to find stuff that fits sometimes, and she requested a copy of a princess-seamed ballet dress from H&M that fits her well. 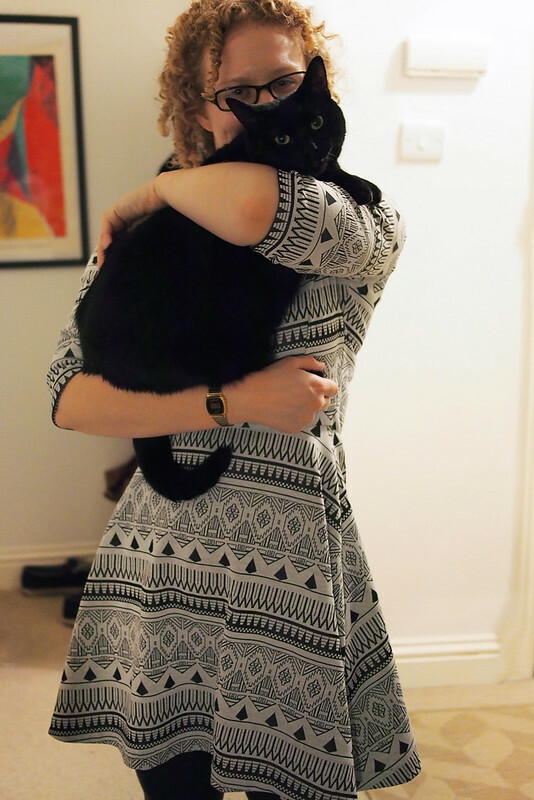 I used my Aztec print knit from Rolls & Rems to make her this fairly faithful copycat. I used Dixie DIY’s Ballet Dress pattern in size XS as a base. 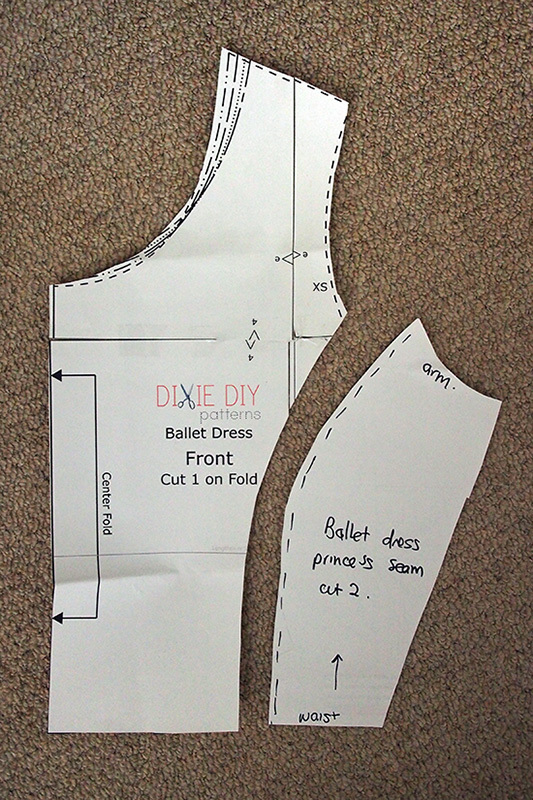 The pattern has been tweaked by Dixie since I last used it so the fit around the arms and bodice is noticeably better now. I also tweaked it a little myself by adding princess seams to the bodice per the RTW dress I was copying. To do that I cut a curved piece from the side of the front bodice piece and re-traced it, adding seam allowance and bulging the curve out by about half an inch in the middle, to make a new side piece. The fit was perfect first try, yay! 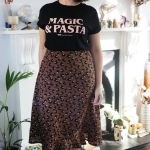 This fabric was very easy to work with: it’s a thick, stable knit so nice and cosy for winter, and doesn’t fray or pucker at all. 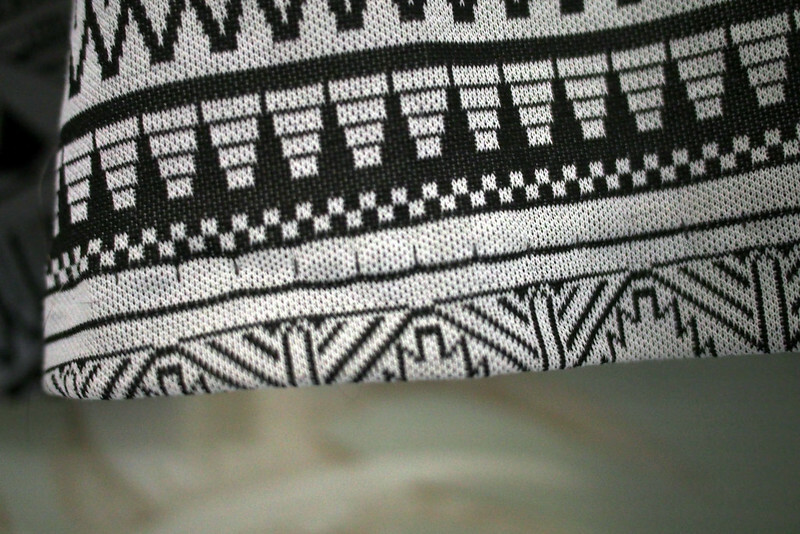 I had a decent stab at pattern matching, and especially like how the lines turn to chevrons at the skirt side seams. It’s got my usual finishes: twin needles neckline, blind hem. I’m especially pleased with the super tidy insides. 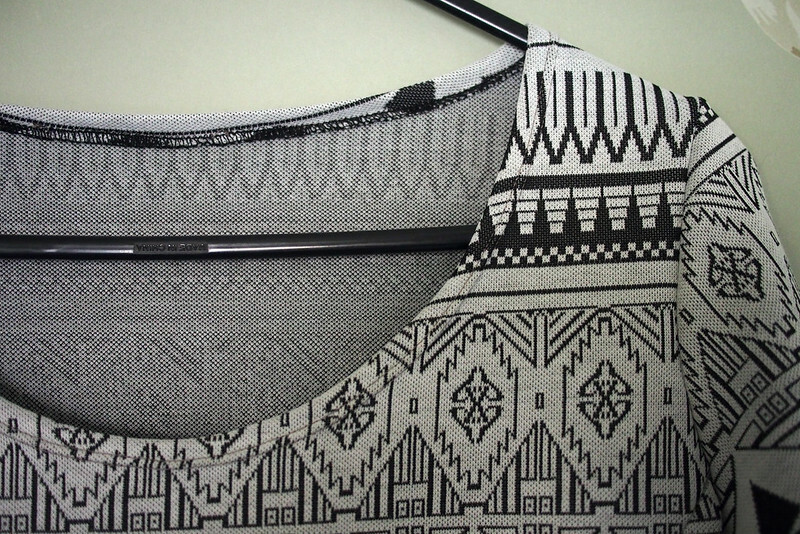 This was such a quick sew: barely an afternoon from printing the pattern to finishing up. 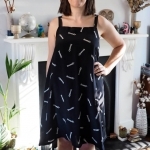 This pattern is just a great canvas for pretty jerseys to make quick everyday dresses. 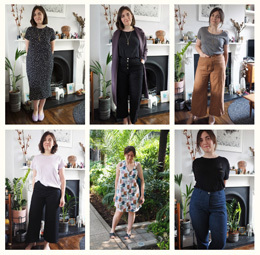 She barely stays still for three seconds so excuse the photos, but here’s evidence that she’s worn it twice so far, including to work and to hug my tubby little cat, so I’m pleased it’s a hit. Really cute! The princess seams make the dress look so elegant! This is the perfect handmade gift!! Great choice of fabric. I can see why your sis loves it! 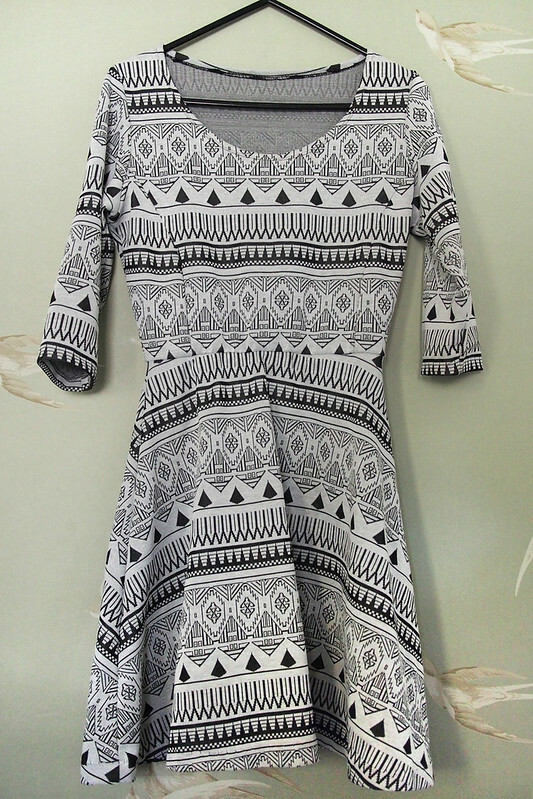 What a cool dress! Adding the princess seams is a great idea! 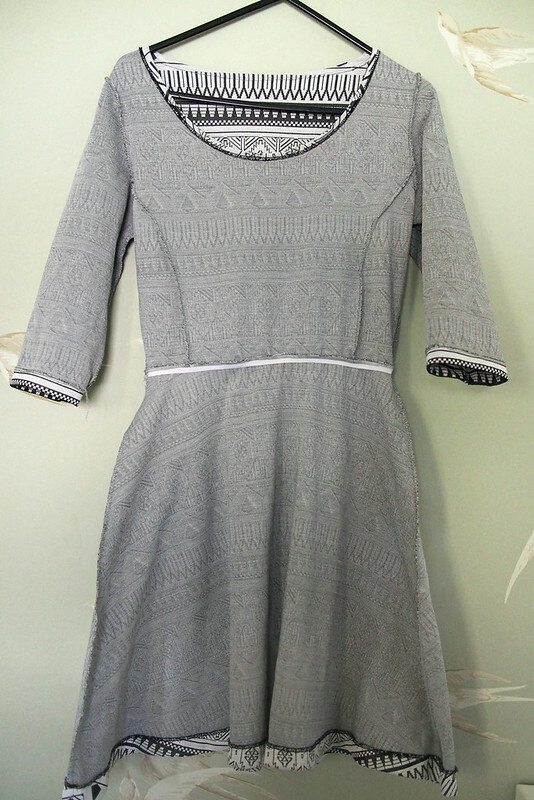 The cut of the dress is lovely and the fabric is perfect! I wish you were my sister. This is gorgeous work. And so pretty.